SPOTLIGHT: Starr Carter (a sensational Amandla Stenberg) is the queen of code switching: living one version of herself with her tight-knit family and neighbors in their Black community of Garden Heights, and another with her classmates at a predominantly white private high school across town. When she becomes the sole witness to the shooting death of her childhood friend, Khalil, by a white policeman, the two Starrs have no choice but to collide—often explosively. Does she stand up for Khalil and speak her truth? Or does she keep quiet and protect herself from the violent forces within her own community? Based on the bestselling young adult novel by Angie Thomas, George Tillman, Jr.’s (Notorious) powerful drama addresses not just police brutality but the root causes of the racial inequity and injustice that permeates American society. Stenberg (The Hunger Games) leads a stellar cast that also includes Common, Issa Rae, Anthony Mackie, and Russell Hornsby and Regina Hall as Starr’s devoted parents. 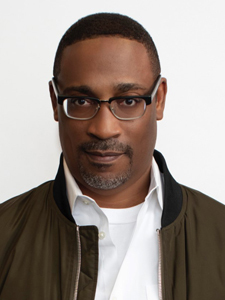 George Tillman, Jr. is an acclaimed screenwriter, director, and producer who has been involved in projects like Soul Food (1997), Men of Honor (2000), Barbershop (2002), Notorious (2009), and The Inevitable Defeat of Mister and Pete (MVFF 2014). Tillman has directed TV series, including Power, Luke Cage, and This Is Us. His latest feature is the highly anticipated adaptation of Angie Thomas’ best-selling young adult novel The Hate U Give (Thug).